Copper Fox Metals Inc. (TSXV:CUU) is a Canadian resource development company that holds a joint venture with Teck Resources (‘Teck’) (Teck 75 percent, Copper Fox 25 percent carried) on the Schaft Creek copper project in northwestern British Columbia. Through its subsidiaries Desert Fox Copper Inc., Copper Fox holds the Van Dyke, Sombrero Butte and Mineral Mountain copper projects in the southwest porphyry copper belt of Arizona and through Northern Fox Copper Inc., Copper Fox owns 65.4 percent of the shares of Carmax Mining Corp., which in turn own 100 percent of the Eaglehead copper-molybdenum-gold project located in northwestern British Columbia. 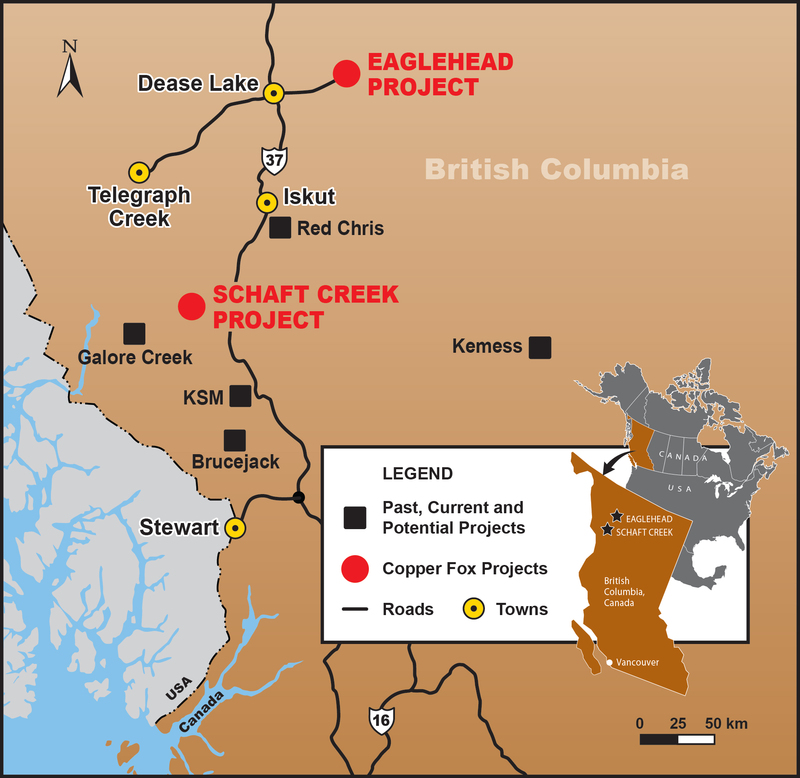 The Schaft Creek project has a 2013 Feasibility Study indicating Proven and Probable Mineral Reserves totaling 940.8 million tonnes grading 0.27 percent copper, 0.19 g/t gold, 0.018 percent molybdenum and 1.72 g/t silver containing 5.6 billion pounds of copper, 5.8 million ounces of gold, 363.5 million pounds of molybdenum and 51.7 million ounces of silver. Copper Fox released results of a positive Preliminary Economic Assessment (PEA) in November 2015 on the Van Dyke copper project. Copper Fox is currently assessing options for advancing the project through the pre-feasibility stage, including seeking a joint-venture partner. Copper Fox recently developed a new exploration stage porphyry copper project in the Mineral Mountain area of central Arizona. As of early 2017, the companies focus was furthering the technical development of its copper projects. Elmer Stewart, President & CEO of Copper Fox Metals was recently featured on CBC’s Documentary Channel on April 17 to 30th, 2017, where he explained the company’s goals for the next year. By mid 2017, the company intends to rely on the applicable exemptions from the valuation requirement and minority security holder approval requirements available under Sections 5.5(a) and 5.7(a) of MI 61-101, respectively, on the basis that the participation in the private placement by insiders will not exceed 25% of the Company’s market capitalization. Proven management team with ability to develop projects. Significant property package in two established copper belts with exposure to copper and gold in North America. Large holdings of copper and gold reserves and resources. Balanced property portfolio ranging from exploration to advanced development stage projects. Schaft Creek Joint Venture (Teck as Operator) is completing an updated resource model. 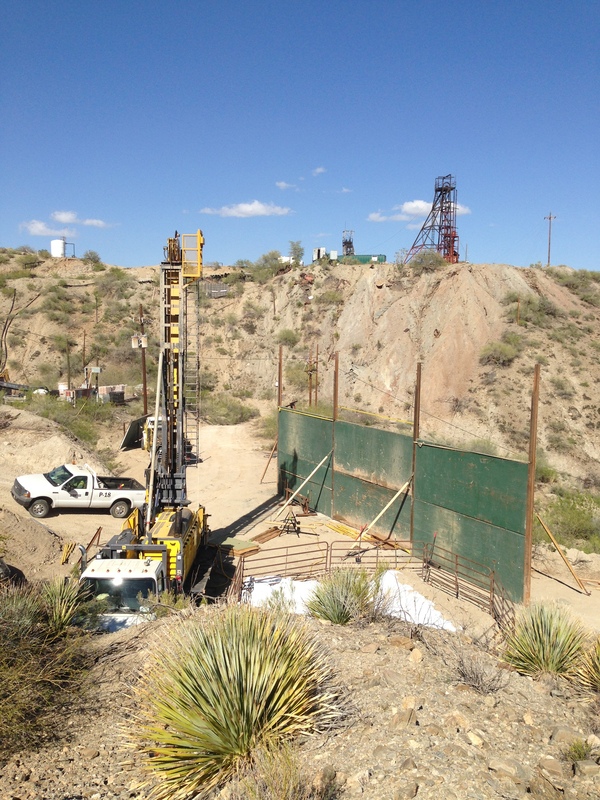 New Mineral Mountain porphyry copper project in central Arizona recently added to portfolio. Positive PEA for the Van Dyke copper project. By completing this form, you are giving consent to receive communication from Copper Fox Metals Inc. using the contact information you provide. And remember you can unsubscribe at any time. 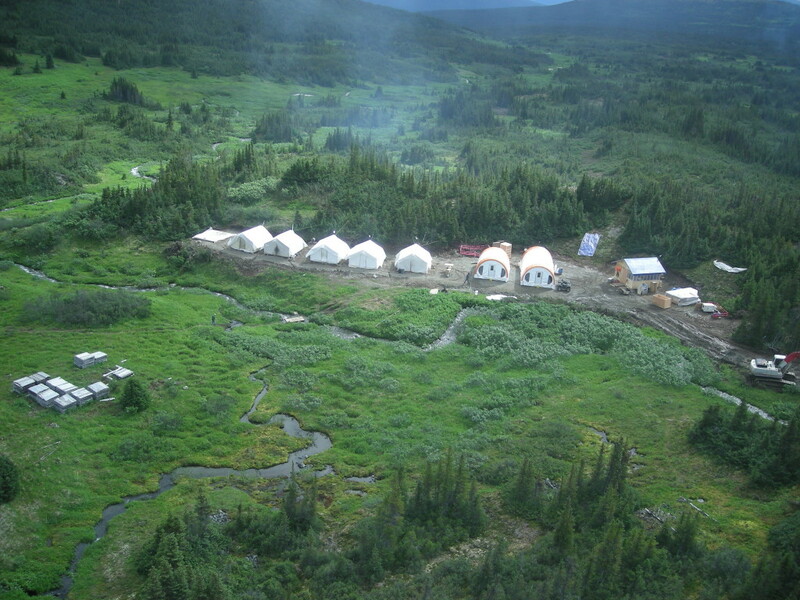 The Schaft Creek Project is an advanced porphyry copper-gold-molybdenum-silver deposit in northwest British Columbia. The project comprises approximately 55,779.56 hectares in the Cassiar/Liard Mining Division located 278 kilometers from the Port of Stewart, North America’s closest deep-water seaport to China. First discovered in the late 1950s, Schaft Creek has an extensive exploration history including the completion of 444 drill holes totaling 108,459 meters. The deposit contains three mineralized zones: the Liard Zone (also referred to as Main Zone), the West Breccia Zone and the Paramount Zone. The feasibility study also identified a number of enhancements that could improve the economics of the project. In July 2013, Copper Fox and Teck executed a joint venture agreement whereby Copper Fox holds a 25-percent carried interest in the Schaft Creek Joint Venture (‘SCJV’), Teck holds 75 percent and operatorship. The operator commenced geotechnical studies, diamond drilling, environmental monitoring and compilation of an updated geological model for the project. In 2014, the SCJV commenced a series of optimization studies to advance the project including metallurgical, pit slope design, geological modeling and environmental monitoring. Field work conducted at this time led to the discovery of the copper-gold mineralization in the LaCasse Zone. Work on the optimization studies is ongoing. In 2015, the focus was on daily throughput rates, mine and infrastructure planning, water management, updating the resource model, and tailings storage. Optimization studies also included a comminution study to determine power requirements and circuit design, Geomet Unit definition, generation of new Whittle pits and preparation of mine schedules. Resource modeling for the Schaft Creek deposit commenced in the fourth quarter of 2016, and results are expected to be available in the first quarter of 2017. A decision will then be taken on whether a resource estimate update for Schaft Creek is required. Desert Fox Van Dyke Co., a wholly owned subsidiary of Copper Fox, holds a 100-percent interest in the Van Dyke in-situ leach (‘ISL’) copper project, a 1,100-acre property in the Globe-Miami Mining district 90 miles east of Phoenix, Arizona. The project includes a mine with a historical production total of 11.8 million pounds of copper from copper oxide mineralization with a reported grade of 5.0 percent copper (between 1929 and 1945). Between 1968 and 1980, Occidental Minerals Corporation drilled 70 exploration holes (62 of which encountered measurable copper mineralization) on the Van Dyke property of which 46 of these were used to estimate a historical resource of 112 million tons at a grade of 0.52 percent copper. Occidental also conducted two ISL tests on the Van Dyke oxide copper deposit. The first test consisted of two wells spaced 75 feet apart. The second test consisted of a five-well pattern spaced at 100 feet apart conducted for a period of approximately one year. Results of the two ISL tests were positive. In July 2014, Copper Fox completed a verification diamond drill program on the Van Dyke oxide copper deposit totaling 3,211.7 meters in six holes. All six drill holes intersected oxide copper mineralization over broad intervals. Based on modeling completed after the 2014 drilling program, the deposit was interpreted to be open to the west. The total soluble copper in the 2014 drill holes ranged from 73 percent to 97 percent. In late 2014, Copper Fox announced preliminary results of in-situ pressure leaching tests on samples of the oxide copper mineralization from the Van Dyke deposit. The objectives of this were to evaluate copper dissolution kinetics, total soluble copper extraction, acid consumption and to simulate the underground hydraulic pressure in an in-situ leaching process over a 120-day leach period. The test work indicated that approximately 89 percent of the copper contained in the samples reports as soluble copper with copper extractions averaging 63 percent and Gangue acid consumption averaging 7.72 kg/kg copper. In January 2015, Copper Fox completed a NI 43-101 Resource Estimate for the project reporting an Inferred Resource Estimate of 261.7 million tonnes grading 0.25 percent copper at a 0.05 percent copper cut-off (estimated 1.44 billion lbs of copper). A positive PEA, the first National Instrument 43-101 engineering technical study undertaken on the Van Dyke copper project, builds on the previous resource estimate and metallurgical testwork. The PEA suggests that Van Dyke is a technically sound ISL copper project, using underground access and conventional solvent extraction and electrowinning (SX-EW) recovery methods with low cash costs, strong cash flows and an after-tax Internal Rate of Return (IRR) of 27.9 percent. The Eaglehead Project is located in the Dease Lake area of northern British Columbia. The property hosts a maiden NI 43-101 Inferred Mineral Resource estimate of 102.5 million tonnes grading 0.29 percent copper, 0.010 percent molybdenum and 0.08 g/t gold containing 662 million pounds copper, 22 million pounds molybdenum and 265 thousand ounces gold within two conceptual open pits. Carmax Mining Corp. is the owner and operator of the Eaglehead copper project, and Northern Fox Copper Inc. owns 65.4 percent of Carmax shares. Exploration in 2014 included both ground and airborne geophysical surveys, diamond drilling and preliminary flotation on samples of the mineralization from the Eaglehead deposit. The geophysical survey outlined a 6,000-meter-long by 900-meter-wide chargeability anomaly that shows a strong correlation to copper mineralization. A total of 122 mineralized (historical and current) drill holes have been completed over a strike length of 4,000 meters along the axis of the chargeability anomaly. The current mineral resource area occupies approximately five percent of the total area of the chargeability anomaly; the majority of which has not been tested by diamond drilling. Preliminary flotation test work on mineralization from the Eaglehead deposit indicates about 88 percent copper, 74 percent gold, 72 percent silver and a minimum of 55 percent molybdenum recoveries into a clean 28-36 percent copper concentrate. Carmax Mining Corp. has completed its 2016 field program on the Eaglehead project, and results are currently being received, compiled and interpreted. 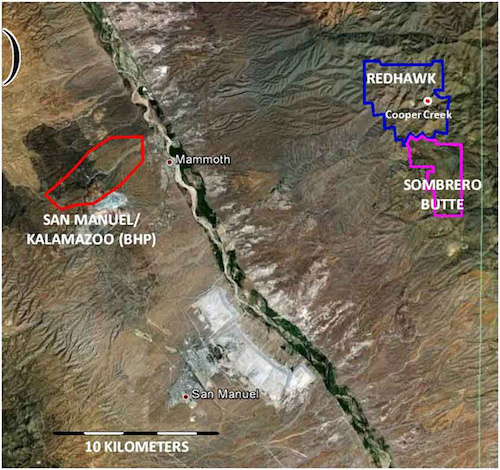 The Sombrero Butte Project is located in Arizona’s southwest porphyry copper belt which hosts large porphyry copper deposits such as the Miami/Globe, Superior/Resolution and San Manuel/Kalamazoo deposits. The region is a well-known mining jurisdiction with excellent and readily available infrastructure. The property is 100-percent owned by Desert Fox Sombrero Butte Co., a wholly-owned subsidiary of Copper Fox. The property exhibits a 4,000-meter-long porphyry copper target consisting of copper-molybdenum geochemical anomalies, copper-molybdenite veins, associated potassic alteration and 40 mineralized breccia pipes. At least 12 breccia pipes show intense dickite alteration—an indicator mineral that occurs in many of the region’s porphyry copper deposits, including BHP’s San Manuel/Kalamazoo deposit. Desert Fox commissioned a Titan-24 DCIP survey in July 2015 and the results of the IP survey support the interpretation of the presence of a buried porphyry copper system. The chargeability signature exhibits a strong positive correlation with the alternation, mineralization and copper-molybdenite geochemical anomalies outlined in 2013 and with historical drill results. A recent study on the hydrothermal breccia pipes on the Sombrero Butte project has identified a high-priority porphyry copper target at the north end of the property. Desert Fox released results of its recently completed study in October 2016 on the chemistry of six hydrothermal breccia pipes within an area that measures 300 meters by 400 meters at the north end of the Sombrero Butte project. The hydrothermal breccia pipes located in the center of the property were not included in the study due to the lack of geochemical data. The study focused on the trace elements (molybdenum-gold-silver-arsenic-antimony-tungsten) associated with a porphyry copper system. While analytical results for copper were previously announced by Bell Copper Corp., the results for molybdenum-gold-silver and associated elements had not been previously announced. Copper Fox, through its wholly owned subsidiary Desert Fox Minerals Co., has 100-percent ownership of the Mineral Mountain copper project located east of Florence, Arizona. The Laramide porphyry copper province in Arizona is one of the most prolific copper mineralized districts in the world. The Globe-Miami, Resolution, Florence and Casa Grande copper districts are located in Central Arizona and occur along a northeast trend; essentially in a straight line. 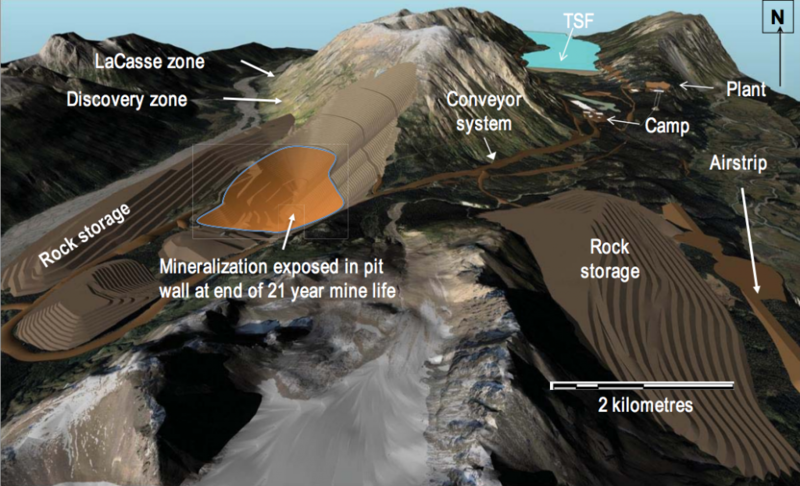 The Mineral Mountain copper project is located on this trend between the Florence and Resolution copper deposits. The porphyry copper deposits in the Globe-Miami and Resolution deposits are reported to contain significant concentrations of molybdenum. The Mineral Mountain copper project consists of 209 mineral lode claims covering the interpreted surface expression of a buried porphyry copper system. A total of 171 outcrop samples were collected during recent field work. The company has also added fifty-seven mineral lode claims totalling 1,157 acres. Historical exploration reports for the project site show locations of a number of bulldozed trenches completed within an area (reported to be about 3,000 feet by 2,000 feet) of copper +/- molybdenite mineralization hosted in a Laramide age Quartz Monzonite intrusion. The area of copper +/- molybdenite mineralization is reported to be underlain by a large (6,000-foot by 2,500-foot) chargeability anomaly. Copper Fox is planning a program consisting of outcrop and trench sampling as well as mapping of lithologies, alterations, and vein assemblages to confirm the historical copper-molybdenum-gold-silver analytical information and better define the area of mineralization. Elmer B. Stewart has a Master’s Degree in Geology and 35 years of domestic and international experience in mining and mineral exploration. Stewart has been involved in putting five gold mines into production, and he has approximately 22 years of experience at the senior management level for various companies listed on the Toronto Stock Exchange and Toronto Venture Exchange. Braden Jensen is a chartered accountant with a bachelor of commerce degree from the University of Victoria. Jensen began his career and training with KPMG LLP. He was in the public practice sector for six years, concentrating in commodities-based accounting and tax prior to entering the resource sector where he has been responsible for reporting on exploration and operations. R. Hector MacKay-Dunn is a Senior Partner at Farris, Vaughan, Wills & Murphy LLP where he advises private and public high-growth companies in a broad range of industries on domestic and cross-border private and public securities offerings, mergers and acquisitions, tender offers and international partnering transactions. MacKay-Dunn is recognized by Lexpert, a respected Canadian legal publication, as being among the top 100 Canada/US cross-border corporate lawyers in Canada and among Canada’s leading lawyers in mergers in acquisitions, technology and biotechnology. Appointed Queen’s Counsel in 2003, he holds the highest (AV Pre-eminent) legal ability rating from Martindale-Hubbell, an authoritative and global source for identifying leading lawyers and law firms, and the Best Lawyers in Canada ranks him as a national leader in technology and biotechnology. J. Michael Smith has been a director of Copper Fox Metals since September 2004 and was Executive Vice-President until his retirement in September 2013. Smith had a 38-year banking career with RBC Royal Bank, holding senior management positions in Calgary, Edmonton, Montreal and New York. He is also a Director and Treasurer of a registered public charity. Ernesto Echavarria is a Certified Public Accountant and has extensive experience both at the executive and board levels of large corporations. He is a significant investor with a number of major corporations in Mexico including MegaCable Holding Sab, a controlling shareholder, and is an executive and Director of Franks Distributing, a major international distributor of fruits and vegetables. Echavarria is also an investor and Director of numerous other entities, including mining companies. Erik Koudstaal is a Canadian Chartered Accountant and a retired partner of Ernst and Young. His accounting career spans 40 plus years in The Netherlands, Canada, Africa (Nigeria), Asia (Singapore), Europe (Spain) and the United States. Koudstaal retired from Ernst and Young’s New York International office in 2001. His multinational clients were in natural resources, banking, manufacturing and technology. Since retiring, he has been a financial consultant and a Board Member (Treasurer) of two organizations. In January 2008, Koudstaal completed the Governance Essentials Program for Directors (not-for-profit) at the Institute of Corporate Directors and the Rotman School of Management, University of Toronto. This profile is sponsored by Copper Fox Metals (TSXV:CUU, OTC:CPFXF). This profile provides information which was sourced by the Investing News Network (INN) and approved by Copper Fox Metals, in order to help investors learn more about the company. Copper Fox Metals is a client of INN. The company’s campaign fees pay for INN to create and update this profile. The information contained here is for information purposes only and is not to be construed as an offer or solicitation for the sale or purchase of securities. Readers should conduct their own research for all information publicly available concerning the company. Prior to making any investment decision, it is recommended that readers consult directly with Copper Fox Metals and seek advice from a qualified investment advisor.